memu November 18, 2016 January 9, 2017 Comments Off on MEmu Android 5.1 RC3 is Released! The 3rd MEmu Android 5.1 release candidate (RC3) is released! Compared to RC2, this version replace specific library with unified library, which will significantly improve the efficiency and compatibility. Download and run the additional package MEmu-Lollipop-rc3 to add Android 5.1 system ova. 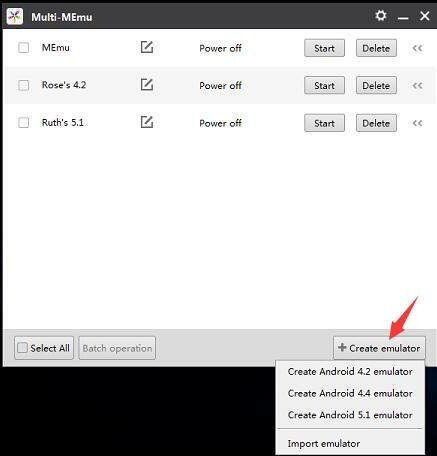 Run Multi-MEmu desktop shortcut and Create Android 5.1. Hardware assistant virtualization is required. CPU SSE4 Instruction set support is required. Some of video codecs on YouTube is not supported.